Check out the latest exciting news! Daya Devi-Doolin's new book Grow Thin While You Sleep! will be available for free beginning March 1, 2017. A blueprint for overcoming life's challenges and particularly the perplexing problem that many face in losing weight, this book tackles the underlying mental-emotional struggles by tapping into the power of Creative Mind. The book goes through a series of real-world steps that help you get to the root of what is keeping you stuck from achieving your goal, whatever that might be. Most excitedly, You can get her book for free beginning March 1, 2017 during the pre-launch release process. During the 4 days following March 1, 2017 and running until March 5, 2017 (starting midnight Pacific time), her book will be absolutely free on Amazon Kindle. Act now starting March 1 and you can get her book for FREE. Read on to discover more about Grow Thin While You Sleep! and the amazing opportunity. Click HERE to get it for free beginning March 1 until March 5, 2017! "Change your mind, your body, your life -- it's all wrapped up in this super-spiritual approach to losing weight (and negativity) from the inside out." You have an ally that's working with you night and day, and it can be most active on your behalf while you're sleeping. Click Here March 1 through March 5, 2017 and get Grow Thin While You Sleep for Free!! Daya Devi-Doolin is excited to announce the international release of her groundbreaking new book, Yoga, Meditation and Spiritual Growth for the African American Community. Unique in her background and approach to the ancient science of hatha yoga, Daya translates these valuable techniques in every day language for use by everyone who is interested in their own well-being, peace of mind, and fulfilled living. Targeted but not limited to the African America community, Amber Communications Group, Inc.'s imprint Colossus Books has published this book that will help guide you, the reader, the everyday person, the person who works, has a family (or not) and wants to stay stress-free, happy, fulfilled and healthy. This book will lead you, the yoga aspirant and participant to that place. 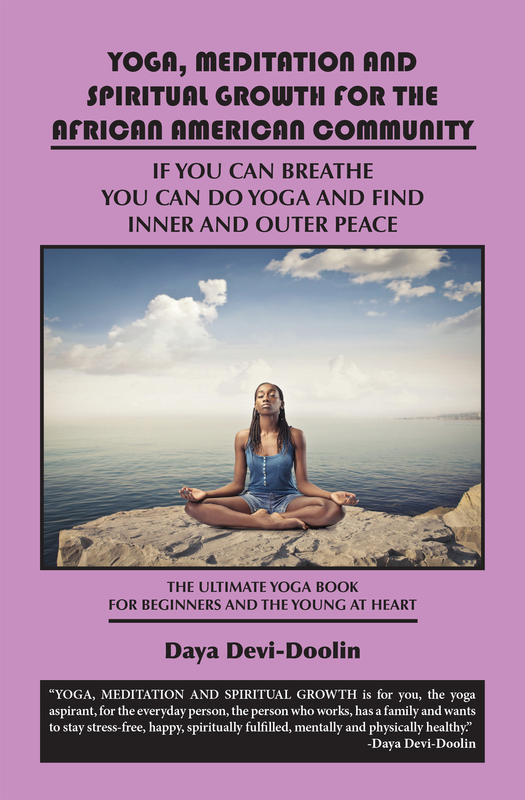 It has a loving and knowledgeable approach as if the reader were right in Daya’s Yoga studio at the Doolin Healing Sanctuary. The Yoga Asana's within this book will, if you practice, help you to burn calories, strengthen the body, mind and soul and offer benefits you cannot even imagine. All you really have to do is KEEP BREATHING! • The practice of Yoga is loving and limitless. • Adding yoga to your daily life will bring amazing and positive changes in your life. • Yoga will arm you with hope, faith and practical solutions as a healing tool in your life. • The practice of Yoga is made effortless and easy through the information in this book. • You will benefit greatly by applying these teachings to your daily life! 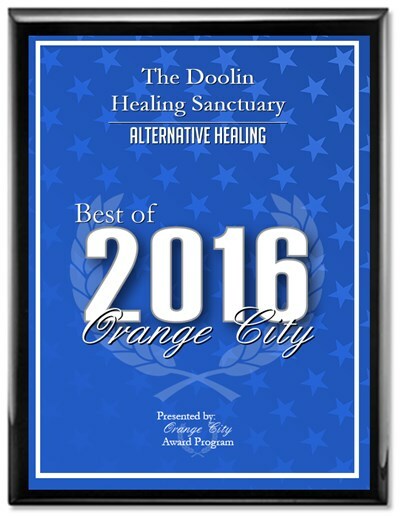 We're thankful that the Doolin Healing Sanctuary is being recognized for healing and yoga in the community, with winning the award for Best of 2016 in Alternative Healing for Orange City, Fl and a top 5 finish for Best Yoga Studio in the Orlando A List awards (2013-2014). Welcome to the web site of Chris and Daya Devi- Doolin, where we share a glimpse into our world of healing, writing and music. You’ll find links to our uplifting acoustic based variety Music, inspirational self-help Books, and alternative healing at The Doolin Healing Sanctuary. We hope that you find something here that inspires, brings you joy and helps you on the path to your greatest good.